I thought I hated Greek food. I don’t like olives. I’d always imagined the food here to have a dirty martini vibe. Instead, this country has delivered a culinary tour de force. Don’t get me wrong- there is a solid amount of olives rolling around these islands. But mostly they’ve been deliciously transformed into oil. Oil that’s used in everything: baking feta, mashing fava, frying squash blossoms, saganaki’ing saganaki. Life is funny. Kelly and I knew we were both planning on traveling this summer. Life did what life does best and happened. So she ended up with a 3 month head start on me. Because of this, instead of starting in Ireland as I’d planned, I flew directly to Crete, Greece and wound up with the best week-long crash course in Irish culture a lad could ask for. Let me explain..
My best friend has an obsession with food. She also has an innate, incurable awkwardness. These endearing qualities led her to uncomfortably drool over another patron’s meal at a restaurant in Dublin. This stranger than offered for her to come stay at his home. She took him up on it and a couple months later I’m at a villa in Greece with 6 new homies from Ireland. The week was pretty increteable. The salty, wavy, royal blue Aegean. Bike rides through olive groves. Greek yogurt and honey and frappes and cheese pies. Six Euro pitchers of local wine. Shooting stars, floating, dancing, stalling janky grecian Audis, getting flipped and pummeled by waves and laughing like the (twenty) 6-year-old I am. Suddenly, I had simultaneously been gone for what seemed like months and these people I hadn’t yet known a week were waking up at 6 a.m. to hug me goodbye. 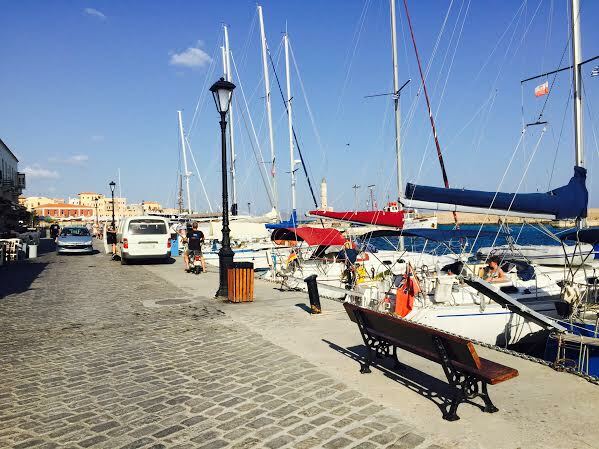 This entry was posted in Uncategorized and tagged Aegean, Chania, Crete, Greece by Danielle Elizabeth Owen. Bookmark the permalink.